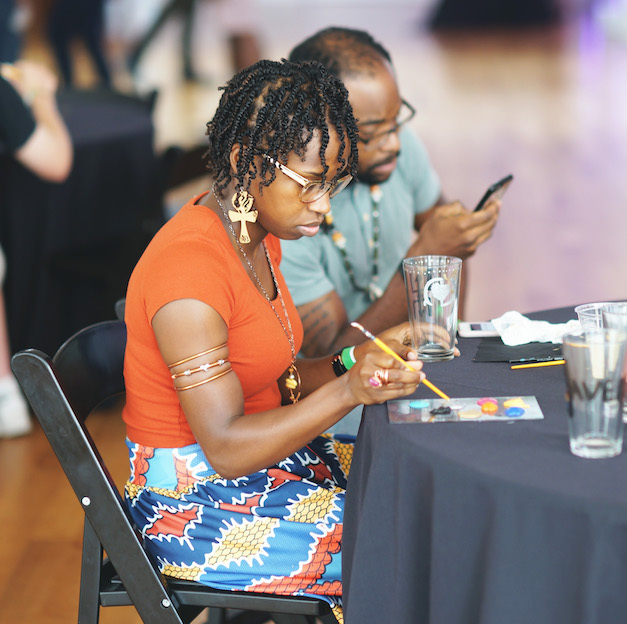 Everyone is an artist at Think Like an Artist Thursdays. Play, make art, and enjoy craft beer, cocktails, and live music the first Thursday of every month at Columbus Museum of Art. Each month we partner with local creatives to bring you new experiences. month with Columbus Museum of Art and our local creative partners. Join CMA and the New Amercian Advisory Council for an evening with new American artists, music by DJ Jakak Mapis, and a cash bar. Cost of the program is included with Thursday evening admission, which is $5 for nonmembers and free for members.